Absolutely stunning! 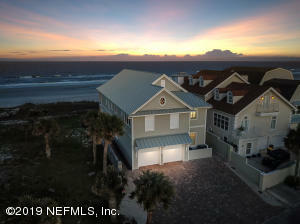 The first words to come to mind to describe this newly constructed Ocean front Home! This 2 story home was a custom build completed in 2010. Open concept living downstairs with gorgeous views all around. Plenty of outdoor living space on either the first or second floor balcony. The first floor is completed by a 2nd living space, a downstairs on suite bedroom, and an oversized laundry room with plenty of storage room. The 2nd floor has 2 master bedrooms on the ocean side of the house, both with 2nd floor porch access and walk in shower and closets. All bedrooms have attached baths. The large bunk room has high ceilings, and lots of space. Great potential to be turned into a game/ flex room for another entertaining area. Ocean front luxury living awaits you! Are you Kidding !!?? 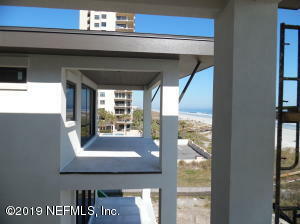 New construction in the heart of Jax Beach. MLS pics are from 10/4/2018-2/17/2019 No Fees ! No Condo Responsibilities. 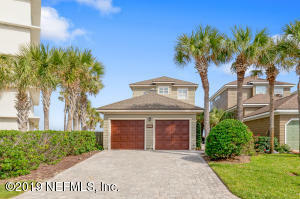 Upgrades abound in you Fabulous new ocean front home. This is the last of 3 !! Don't miss out.